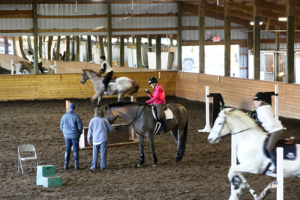 WRA Equestrian Center is home to Wintergreen Riding Academy. We offer our beautiful facility and excellent lesson and training programs to anyone who is interested in learning from the best in a drama free environment. We offer special discounts to our clients who want to both learn and board with us. Christy Callender, one of the foremost Dressage Trainers in the area conducts daily horseback riding lessons at WRA Equestrian Center.